This morning Daisy was in a very snuggly mood as we were trying to get ready. 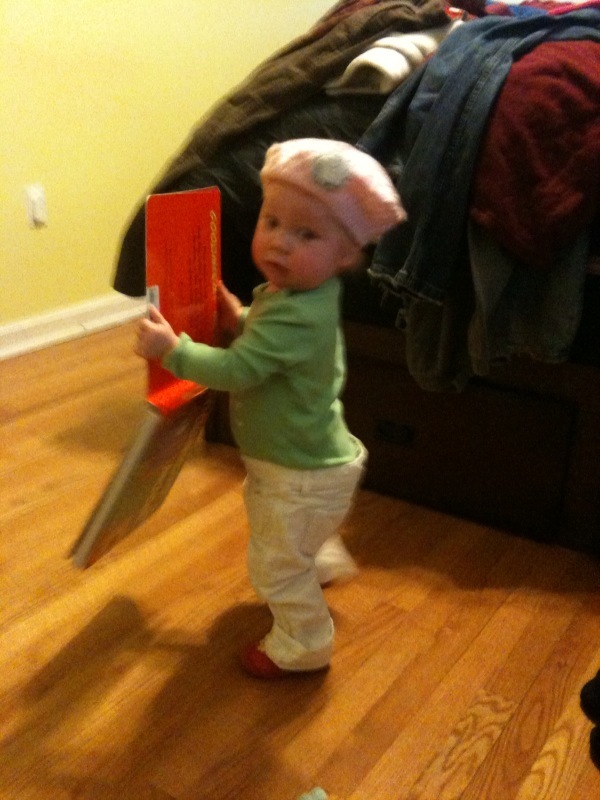 One of the ways I was able to put her down and be able to put on my make-up was to give her a hat to play with. She loves hats (just like her mother). Then, I took her to brush her teeth. She loves to try and brush (I think actually she just loves sucking on the kiddie-safe toothpaste).